In recent years, service organizations have seen rapid growth in the number of companies outsourcing business functions such as human resources, payroll, claims processing, and IT services. This rise in outsourcing — brought on by factors like the economic recession and advancements in technology — has increased the demand for assurance. That is, your clients need to know your services are reliable. To demonstrate that your service organization’s processes are adequately controlled, consider a Service Organization Controls (SOC) audit. A SOC 1 audit examines a service organization’s controls over financial reporting objectives. A SOC 2 audit assesses a service organization’s controls over systems relevant to security, availability, processing integrity, confidentiality, and privacy. A SOC 3 audit reviews a service organization’s controls over systems relevant to security, availability, processing integrity, confidentiality, and privacy, and issues a general use report that may be freely distributed. For service providers, it’s important not only to be compliant and meet regulatory requirements, but to build strong internal processes that drive success for your business. A SOC audit will ensure your service organization has the security safeguards in place to adequately protect client data. With heightened concerns regarding information security, SOC reports are becoming essential to a service organization’s growth and marketability. Your stakeholders will want to know your organization meets their SOC 1 objectives for financial reporting and/or applicable SOC 2 standards of security, availability, processing integrity, confidentiality, and privacy. The strength of client relationships is the key to business growth and success. A SOC report offers the transparency that will deepen your clients’ trust in the quality of your services, and ultimately drive client satisfaction, retention, and referrals. World-class service means meeting and exceeding client expectations in an ever-competitive marketplace. 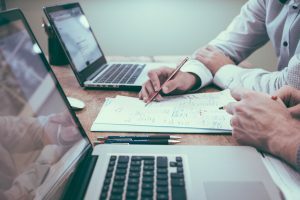 As your range of prospective clients expands, continued success depends on your organization’s ability to demonstrate that your services and internal controls are reliable, accurate, and fairly presented. 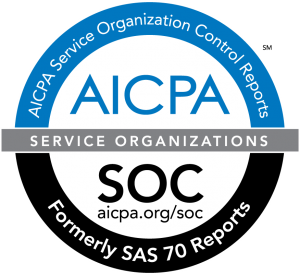 We’re thrilled to hear from our clients that a SOC audit has been a clear competitive advantage. We understand that your work days are busy, and there’s never a convenient time to devote internal resources to become SOC compliant. With a little planning, it’s not as difficult as you may think. That’s where we can help. Accounting and Business Consultants, LLC is a specialty CPA and consulting firm with expertise in planning and performing SOC 1, SOC 2, and SOC 3 audits for service organizations like yours. We will help you determine your specific reporting needs as well as plan for a SOC audit.